We are a direct marketing organisation called Data Locator Group Ltd “DLG” registered in England and Wales under company registration number 06742075, whose registered office is at Green Heys, Walford Road, Ross-On-Wye, Herefordshire, HR9 5DB and is a subsidiary of DM Ltd.
We are also members of the Direct Marketing Association and registered with the Information Commissioners Office. We operate under the brand names Surveys.co.uk, Consumer Lifestyles™ and ThePrizeFinder.com, and we run marketing surveys on behalf of some of the leading UK brands to help them target their products and services better. We conduct marketing surveys both online and by telephone. When we call you we will always display a valid telephone number to identify us. You are always able to call this number back to stop any future calls if that is your wish. Our offices are at Data Locator Group Limited (DLG), Sunningdale, The Belfry Business Park, 13 Colonial Way, Watford, Hertfordshire WD24 4WH and you can contact us by phone on 01923 281700 where you can speak to The Compliance Department or email consumerdataprotection@dlg.co.uk with your questions. If you want to check if we have called you in the last 2 weeks you can check this by going to our website www.consumerlifestyles.co.uk. All of the data we collect from you is for marketing purposes. This means we share your details with reputable companies who may want to contact you by telephone or post to offer you goods and services that may be of benefit to you. You can ask us to stop sharing your details at any time now or in the future. 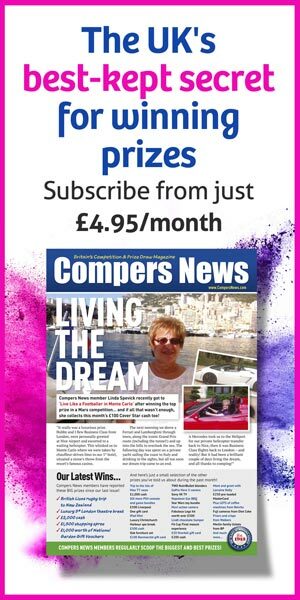 Our brands Consumer Lifestyles™, Surveys.co.uk or ThePrizeFinder.com may also contact you by email, SMS or telephone to ask you questions for marketing purposes. These questions will be on behalf of companies who we will name at the time of the call and who will only contact you if you consent. Again you can ask Consumer Lifestyles™, Surveys.co.uk or ThePrizeFinder.com to stop contacting you now or at any time in the future. Data may be processed in pursuance of legitimate interests. This includes using your data for postal marketing for ourselves or others but in either case communications will be in relation to products or services which we believe may be of interest to you based upon information which you have provided us. It also includes processing your data for ID protection and tracing purposes such as Credit Reference and Fraud Prevention. This is in relation to appropriate agencies which we have listed below which could help protect your identity and prevent fraud. What types of personal data do we collect and share? The information we collect includes your name and contact information that you volunteer such as your telephone number, email address, mobile number and postal address. We may also ask you for your date of birth and during the course of our surveys details about your preferences likes and dislikes. We will never collect information about your bank account or credit card details and nor will we collect sensitive information such as your medical history, religious or political beliefs. Automotive, Charity, Education, Gaming, Leisure, Investments, Loans, Credit Cards, Insurance, Politics, Health/Mobility, Home Improvements, Wills, Funeral Plans, Mail Order, Market Research, Media, Retail, Telecoms, Toiletries/Cosmetics, Travel and Utilities. From time to time we also supply our data to these sectors via agencies/brokers; we ensure that these agencies/brokers are reputable firms. Marketing Service Providers are companies who collect data from Data Controllers, such as ourselves, and help their clients tailor products and services which best suit your needs. They may also use your data for fraud prevention. The Marketing Services Providers we work with are strictly limited to only those organisations who we have completed checks on and who will process your data in strict compliance with all laws, regulations and guidance with regard to Data Protection. We will share your data under strict licence terms with the Marketing Services Providers listed below, who like us, will use it to create products and services to help organisations better understand the likely characteristics of their customers; communicate with them more effectively; and find others like them across a range of marketing channels. This may mean that you receive advertising from organisations within the industry sectors listed above, that is more relevant to you via direct mail or when you visit a website, mobile app or watch TV. The Marketing Services Providers will not however advertise their own products or services to you. To understand more we have provided you with a link to each of the Marketing Services Providers listed below. We use some of the information you provide to identify lookalikes so our clients can target you with offers of goods and services tailored to you. We will never profile you on the basis of ethnicity, religion, politics or health as these are not valid reasons for which you should be targeted for marketing purposes and nor do we collect this information. We also do not make automated decisions about you which may have a negative impact on your rights. Marketing Services Providers we share your data with may also use profiling to target you for marketing purposes. Once again you can ask us to stop using your data in this way at any time. We work with suppliers such as our Call Centres in the Philippines, India, Kosovo and Guyana who may call you on our behalf to conduct our surveys under the name of Consumer Lifestyles™. These Call Centres act as our processors under strict instructions from ourselves. We monitor the calls they make to ensure quality is controlled and we regularly inspect their premises and check that security and data protection standards are of the highest quality. We also send data to clients who may operate overseas, primarily in the United States and South Africa but under strict contract rules that ensure your personal details are only processed under the same laws that we operate under here in the UK. We will only keep your personal details for as long as is necessary or as long as you want. The law does not put a time limit on the amount of time we should hold your personal details for but as long as you are happy to hear from us we will continue to contact you. As we explain in the section marked what are my rights? You can withdraw your consent to us at any time. Right of access - You have the right to contact us verbally or in writing to request details of the information we hold about you. Occasionally we collect personal information from third parties but when we do we check that they have your consent to share your information with us. The promotions are run by Data Locator Group Limited in conjunction with a number of companies and websites including Surveys.co.uk, Consumer Lifestyles™.and ThePrizeFinder.com. The promotion is a prize draw, which is open to all UK residents over 18, except for employees of DLG and DM Ltd, their families and anyone else who is professionally associated with this draw. No purchase necessary. The inclusion of brands in DLG’s prize draws in no way means that these brands are endorsing DLG or its surveys at any time. The themes within the promotion have individual closing dates throughout the year. Entries will be entered into the draw relevant to the date that the entry was received. The winning entry will be randomly selected from all the entries. The selection will be made on the first working day after the end of each promotional period by an independent adjudicator and their decision will be final and binding. For the avoidance of doubt, Monday to Friday are working days. Entries will be included into one draw only; entries will not be carried over into subsequent draws. The prize is not transferable, unless agreed by DLG. 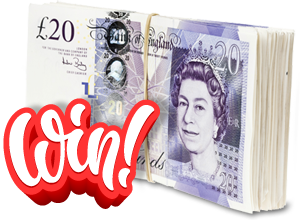 If the alternative cash prize(s) is selected this will be paid as a lump sum(s) cheque payable to the winner(s). The promoter accepts no responsibility for entries lost, damaged, delayed or unreadable. The judges' decision is final and no correspondence will be entered into. The promoter reserves the right in its sole discretion to disqualify any individual that corrupts or affects the administration, security, fairness, integrity or proper conduct of this prize draw. The winners will be notified by post and/or telephone before the last working day of the month following each promotional period. For example, the draw closes on 28th / 29th February and the winner will be notified by 31st March. Winners must claim their prize within 28 days of being notified of the win. If the prize is not claimed within the specified claim period, your entitlement to that prize will be lost. The prize remains the property of DLG until a winner is notified in writing and the winner has claimed the prize or the cash alternative. In the event of a winner being unable to take receipt of the prize, upon agreement from DLG, he/she can nominate a family member or partner to take receipt of the prize on their behalf. The prize will be despatched within thirty days of receiving a claim from the notified winner. The name and county of the prize winner will be available after 120 days of the draw date to those sending a stamped addressed envelope marked ‘Results’ to Data Locator Group Limited (DLG), Sunningdale, The Belfry Business Park, 13 Colonial Way, Watford, Hertfordshire WD24 4WH. The winner agrees to the use of their name and photograph for the purpose of publicity, without any additional remuneration. The prize will be provided by DLG. In the event of circumstances outside its control, DLG reserves the right to substitute the prize for another prize of its choosing which has a value the same or greater than the original prize. Entrants acknowledge that their entries may be released or displayed to the public by DLG or any agency connected with the prize draw and assign all rights necessary for promotion or publication of such entries to DLG. By participating in the survey and submitting your information, entrants are agreeing to receive marketing offers from surveys.co.uk and/or its sponsors/partners. Entry into the draw will be deemed to constitute acceptance of these terms and conditions and entrants agree to be bound by these terms and conditions. Any queries and comments should be directed to client.services@dlg.co.uk or by writing to Data Locator Group Limited, Sunningdale, The Belfry Business Park, 13 Colonial Way, Watford, Hertfordshire WD24 4WH. All copyright remains the property of DLG. A cash prize of equivalent value will be offered as an alternative to any of the above prizes. Prize Draw Entry, Surveys.co.uk / ThePrizeFinder.com, Data Locator Group Limited, Sunningdale, The Belfry Business Park, 13 Colonial Way, Watford, Hertfordshire WD24 4WH. Please mark clearly which prize draw you wish to be entered into.